The Fayette County Chamber of Commerce is asking the community for theme suggestions for the upcoming Christmas Parade on Sunday, Nov. 26. Residents have until Aug. 24 to submit their ideas on the organization’s website at www.fayettecountyohio.com with the winning suggestion earning a $50 Visa card. Here is a photo of Santa from last year’s parade. The annual Christmas Parade in Washington C.H. is scheduled for Sunday, Nov. 26 and the Fayette County Chamber of Commerce is looking for input from the community for a theme. Residents have until Aug. 24 to submit their ideas on the organization’s website at www.fayettecountyohio.com. The committee will then select a theme from the nominations and announce the winner in early September. The person who suggested the winning theme will receive a $50 Visa card from the Chamber of Commerce. Parade applications will be available after the theme has been announced. 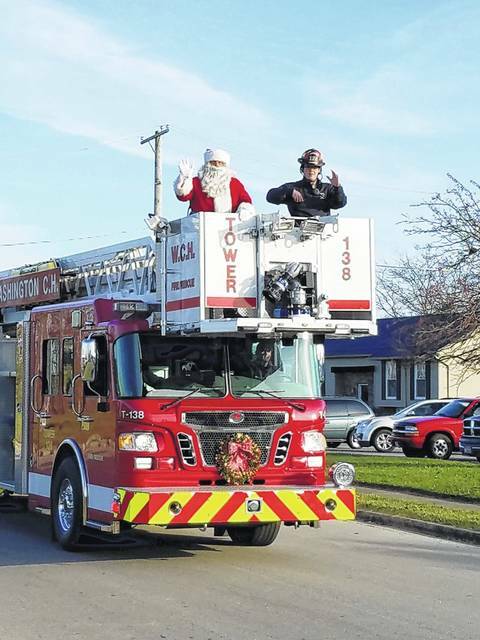 For more information about the Fayette County Chamber of Commerce or the Christmas Parade, call (740) 335-0761.
https://www.recordherald.com/wp-content/uploads/sites/27/2017/08/web1_Santa.jpgThe Fayette County Chamber of Commerce is asking the community for theme suggestions for the upcoming Christmas Parade on Sunday, Nov. 26. Residents have until Aug. 24 to submit their ideas on the organization’s website at www.fayettecountyohio.com with the winning suggestion earning a $50 Visa card. Here is a photo of Santa from last year’s parade.